Taj overload? For those suffering from sensitivity to Taj Mahal photos, look away. I'm not certain how many more of these I have left but the gods willing, I need to get out in Cairo and do my 'tography thing as soon as possible. Being cooped up all day working on my other project is starting to effect my life! Thursday, I'll make a scouting mission over to the pyramids, which is just a bus ride away, on the western edge of Cairo. Then if the weather is right, I'll take the plunge and snap a few pics of the Sphinx and those damn lovely pyramids. I wonder if my skin will goosebump again, what with this being my second time there after a break of 7 years. 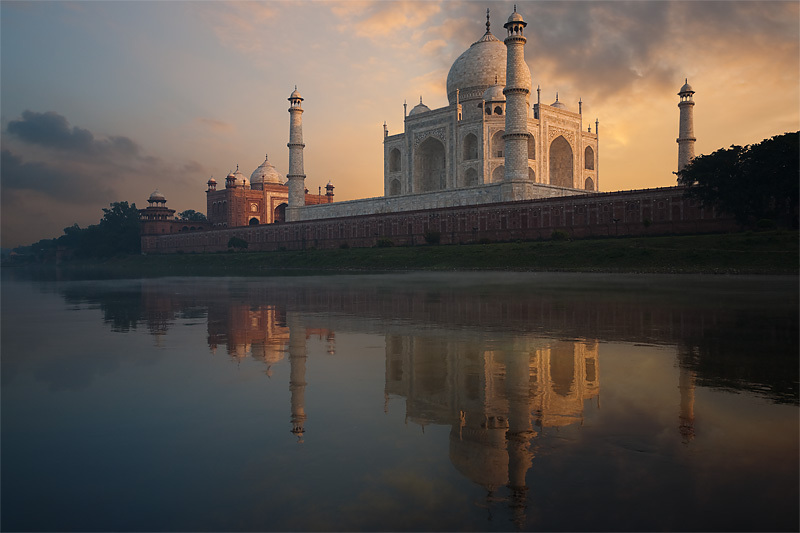 The Taj Mahal or the Mumtaz Mahal still symbolizes "love". People from across the globe come here and admire this magnificent monument. No wonder it one of the seven wonder of the world.